Folkmanis 3087 - Folkmanis® Little Puppets are especially sized for children and have the same attention to detail that you have come to expect from Folkmanis® products. 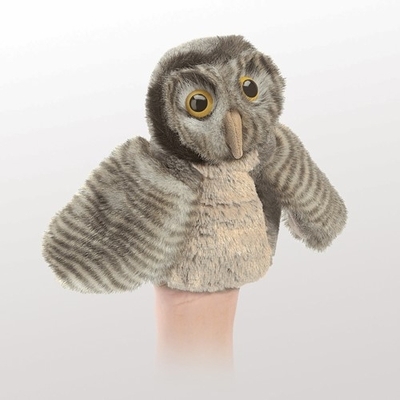 A fuzzy little guy with big eyes, the LITTLE OWL puppet wonders, "Whoo's ready to play?" Movable wings. Measures 6” long, 7” wide, 6” tall.